The MML is one of the largest collection of formalized mathematical knowledge that has been developed with various interactive proof assistants. 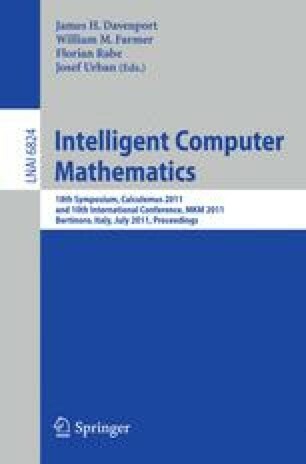 It comprises more than 1100 “articles” summing to nearly 2.5 million lines of text, each consisting of a unified collection of mathematical definitions and proofs. Semantically, it contains more than 50000 theorems and more than 10000 definitions expressed using more than 7000 symbols. It thus offers a fascinating corpus on which one could carry out a number of experiments. This note discusses a system for computing fine-grained dependencies among the contents of the MML. For an overview of Mizar, see ; for a discussion of some successful initial experiments carried out with the help of mizar-items, see [1,2].